Phuket is Thailand’s largest island on its west coast in the Andaman Sea. It has a population of approximately a quarter of a million people. The temperatures of the island vary between 21 and 34 degrees centigrade. Due to the geographical location, the sunnier months of Phuket are traditionally from November to April. May to October typically sees the rainy monsoon season. There is a large array of things to do in Phuket with 35,000 tourists visiting daily. Let’s have a look at what makes this destination such a popular place to visit. Jui Tui Shrine house has recently been renovated and contains a lot of history. To the left of the shrine sits Firecracker House. People will often burn firecrackers here during various celebrations. Another memorial worth visiting is the Shrine of the Serene Light, which is beautifully decorated leaving much to see. The rustic capital of Phuket is Phuket Old Town. This historically rich area is home to a selection of temples, stunning ‘shophouses’, petite printing shops and a disused red-light district. Finally, the famous huge Buddha that sits on the top of Nakkerd Hills is one of the must-see landmarks when visiting Phuket. 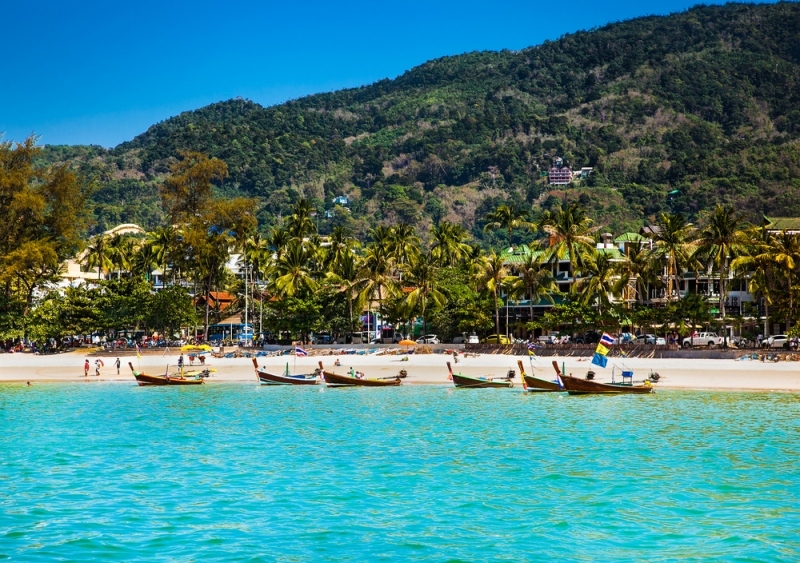 One of the most tourist-rich beaches in Phuket is Patong Beach. The beach has a range of activities on offer such as parasailing and jet skiing. The nightlife centers around Soy Bangala and is one of the main reasons for the beach’s popularity. Nai Harn Beach experiences thousands of visitors each year. The mountain scenery remains relatively untouched, the sand is soft and the water is crystal clear, making it a very picturesque beach to visit. Finally, Kata Noi beach is a small beach with breath-taking scenery. It is close to Kata Beach, which is near the Kata Viewpoint (another popular tourist destination). One of the many reasons you should visit Phuket is its affordability when it comes to luxury accommodation. When looking for hotels in Mai Khao Beach Phuket, you should aim to find accommodation that’s affordable as well as being in a prime location close to all the main tourist attractions. The Gibbon Rehabilitation project is home to many survivors that get sick or injured by hunters. The sanctuary is always looking for volunteers and they return many of its members to the wild once they are fit and healthy. The Phuket Elephant sanctuary is another place you should consider visiting. You get to meet the elephants, learn about them and why you should not ride them, and you will help support ethical elephant tourism. Traffic is banned on Bangala Road during the night. The road is full of bars and street entertainers, which makes it a fun-filled night out. The Phuket Fantasea Show is filled with a range of entertainment and activities for people of all ages. They have fantastic restaurants serving both local and international food, a Las-Vegas style theatre, a carnival village, shopping complex, and a handicrafts section. The Simon Cabaret show is now a very famous attraction that has amazed tourists for over two decades. The wide range of things to see and do on this large and beautiful island is what makes Phuket such a fantastic and popular tourist destination for families, couples, groups, and solo travelers.